Woah, that dress is super-cute! Perfect for summer. OH! I just love the look of this! It’s delightful and summery, and that pink ribbon and bias tape make a world of difference 🙂 yay selfish summer sewing! 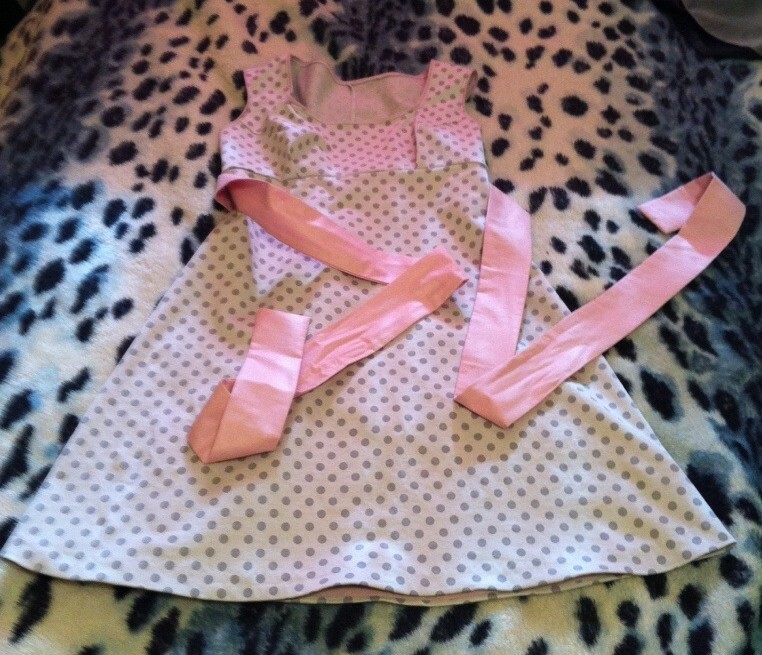 It’s a cute dress! 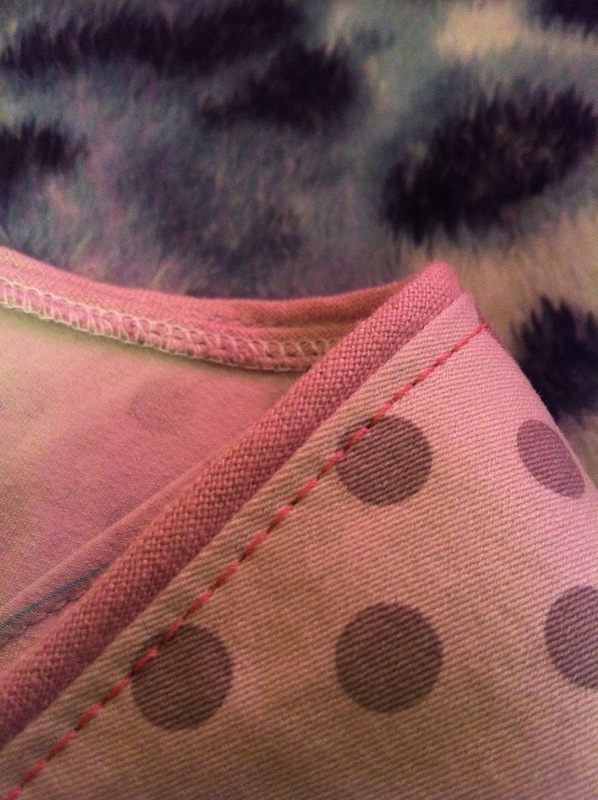 Love the polka dots and the pink trim! You can probably pull that neckline gapping back in if you put a little bit of elastic at the edge. That’s a good thought! We’ll see how it is after the first wash, anyway. It’s not too bad, just not quite as good as it could be. I’m glad you made something for yourself!!!! It’s really cute. Well done! Thanks! I’m glad, too… I felt all light and happy and relaxed when it was done. 🙂 Sewing for other people just isn’t as fun, is it? What a lovely dress! Isn’t it great to be able to do something “selfish” every now and then? Gorgeous! I think selfish sewing is definitely necessary to renew enthusiasm reserves – and you are doing so much selfless sewing right no you totally deserve it. Hot sounds lovely, and that green grass and blue sky – I’m totally envious. excellent! I’m a big fan of quickie recharge projects in the midst of massive ones. There is something about *finishing* that feels so very very good. This is too cute! And good on you for squeezing some fun sewing in there! THe dress is beautiful. I Love the polka dots and it looks fantastic on you.. So proud, you let the other things go, and did for you.. yea. Happy sewing and best wishes on the wedding dress.. Thanks! I must admit, it’s super fun to wear—the fabric is gorgeously smooth and buttery, almost more like sateen than denim. And the polkadots are too fun, aren’t they? This is too cute! I’ve never seen polka dot denim before and now I’m sad about that. 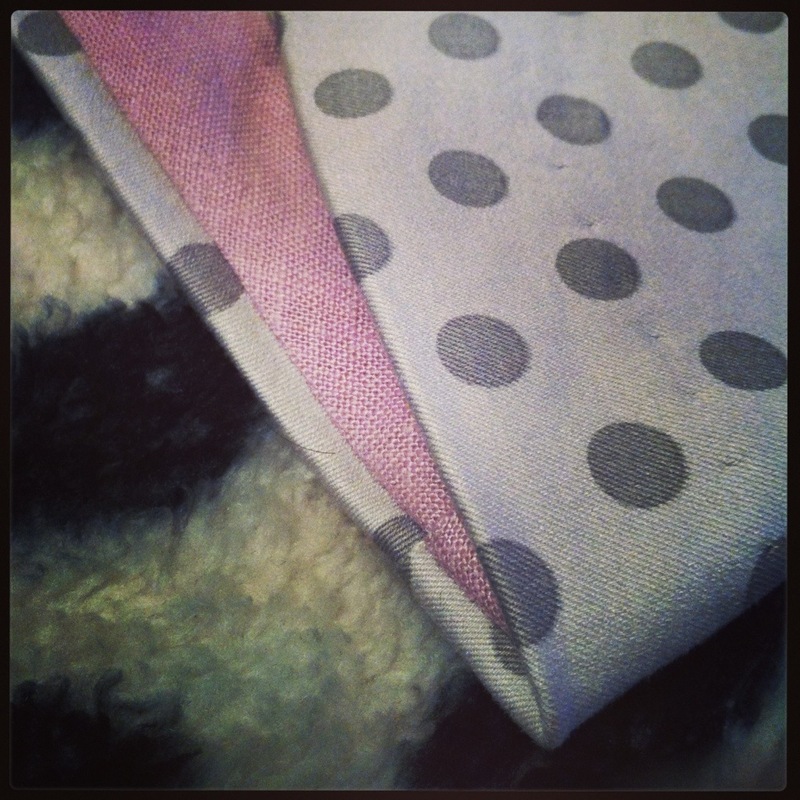 I love the grey and pink combination, the pink edges are so gorgeous. 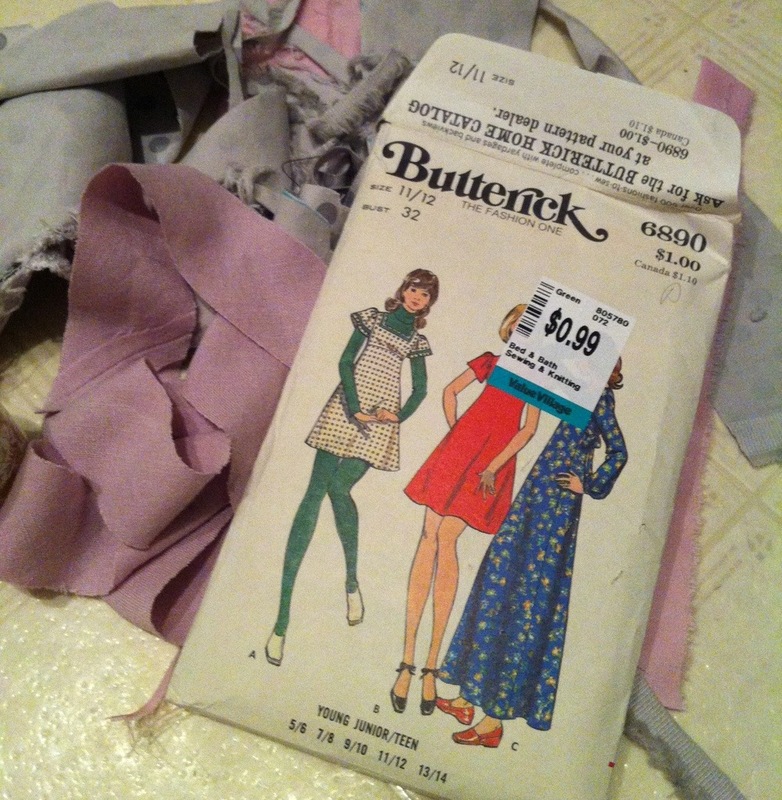 This seems like the perfect selfish sewing project to give you a big pick me up! Adorable! Haha I love your guilty procrastination (totally deserved, in my mind :D). V. pretty dress–the denim has a nice drape that suits this confection perfectly! For inspiration on ’70s stylings, I’ve been watching the tv show “Rhoda.” Love her boho chic + the interior decor.